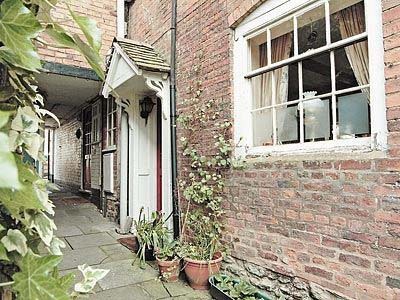 Charming one bedroom cottage located just minutes from the town centre, on one of Ludlow's quaintest and quietest streets. Courtyard garden, a suntrap, backing onto the ancient town wall. Walks on Whitcliffe and along the river bank very nearby. Looked after by the owner for that personal home from home experience. Short breaks welcome anytime, 2 nights minimum stay. A lovely two bedroomed cottage providing luxurious accommodation for up to 4 people in a delightful and secluded mews located at the foot of Broad Street, with a south facing aspect towards the River Teme and the wooded slopes of Whitcliffe Common, yet only a short walk from the centre of Ludlow and its various attractions. Pretty one bedroom early Georgian townhouse, sleeps 2. At the quiet end of one of Ludlow's best streets. 200 yards from Castle Square. 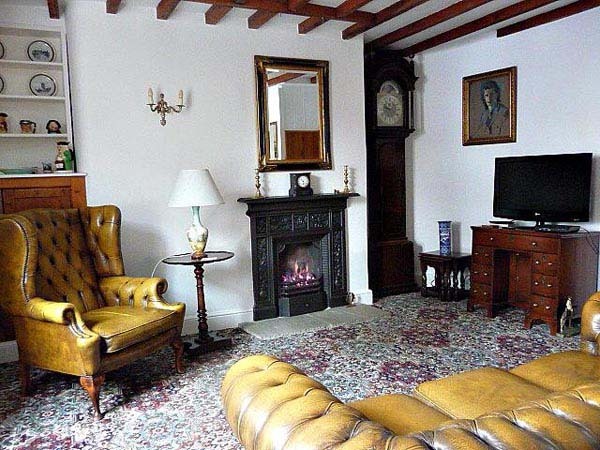 Charming interior, Grade II listed with exposed oak beams. WiFi Broadband. Well equipped kitchen, gas oven, microwave, dishwasher, washing machine, fridge, freezer, gas CH. Linen and towels included, TV/DVD/CD/radio. Small courtyard garden. Perfect getaway for writers, romantics, foodies and walkers. 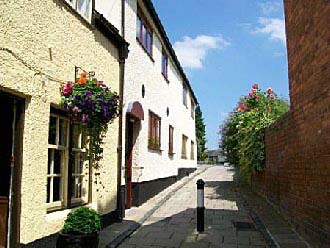 99 Old Street is a simple Victorian worker's cottage, just a few minutes walk from the Castle and town centre. Completely renovated, and refitted, its 2 bedrooms sleep 3 people, and the cosy open-plan downstairs has a kitchen, woodburner and lovely garden. Three superbly renovated apartments full of charm and character, set within the walls of Ludlow Castle. Each with sitting/dining room, fully equipped kitchen, two bedrooms and two bathrooms. 7, 4 or 3 night breaks available all year. 1 apartment will allow up to 2 small dogs at £3.00 per night per dog. Charlie’s Cottage is a beautifully renovated timber-framed Grade-II* listed holiday home, sleeps 3. The property has wonderful historical character mixed with modern luxury. Small courtyard garden. Only a 4-minute level walk from the train station and a 2-minute walk to the start of the town. Short stays all year-round welcome – min. stay 2 nights. Free Wi-Fi broadband. 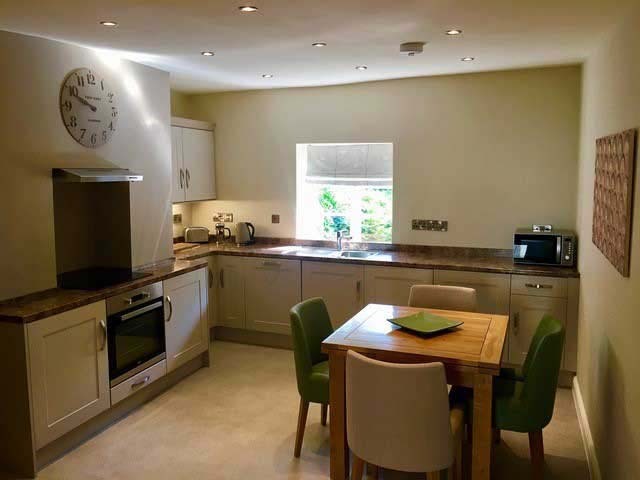 Quintessential 2 double bedroomed town house. Located with minutes walk of the Castle Square. Exposed beams and inglenook fireplace greet you as you enter this charming cottage, complimented by modern facilities, flat screen tv's, luxury dining room and romantic balconied master bedroom. Well equipped kitchen with dishwasher etc. and enclosed quaint paved courtyard garden. Central heating, fresh soft towels and quality bed linen included. Welcome pack of Home made bread & home made preserves. Short breaks available. Parking Permit included. Free wi-fi. Corve Cottage is a charming, centrally located 16th century house which has been recently refurbished and is within 8 minutes walk of the historic centre of Ludlow. There are two spacious double bedrooms (one with king-size bed and the other with twin beds) and a decent sized single bedroom. £85 - £150 per night, minimum stay 3 nights. 20% discount for 7 nights or more. Frog Cottage is a beautifully renovated character holiday home. It has two double bedrooms, living room with dining area, kitchen and bathroom; sleeping up to four people. Located in a quiet area just a few minutes walk from the town centre. Wi-fi available. Horseshoe Cottage is one of three cottages converted from stables in the late eighteenth century. Although close to the town centre it is in a quiet location. It is of a good size and comfortably furnished and well equipped. It sleeps four but is ideal for two or single occupancy. 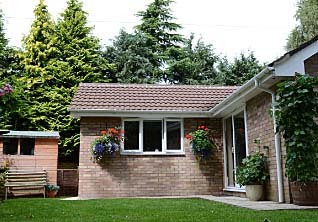 With its garden and garage it is the ideal holiday base. Short breaks available all year round. 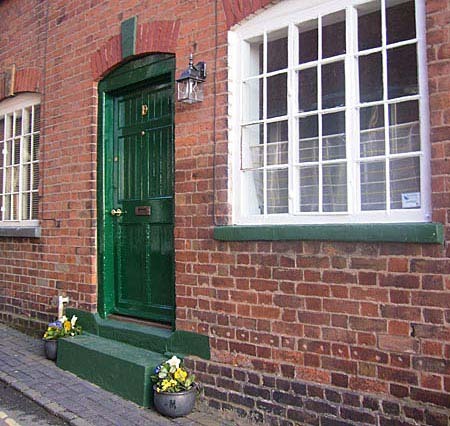 Peaceful, comfortable and private holiday accommodation, perfect for a relaxing holiday in Ludlow. Recently refurbished and centrally located within 10 minutes walk of Ludlow town centre. Property sleeps 5. A cosy riverside cottage within walking distance of the town centre. Private off-road parking and a south facing courtyard garden make Ludford View the ideal retreat for two guests. Fishing available on site. We do not insist on Saturday arrivals and short breaks are available throughout the year. Personally supervised by the owners. No smoking or pets. “Discover Ludlow and Stay in Style”. Selected by Sawday’s "Special Places to Stay". 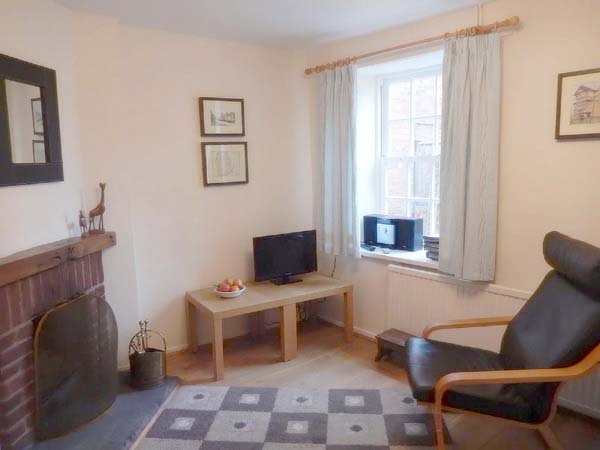 A smart and comfortable cottage for 2, within easy walking distance of the town centre. The charming interior is well designed, boasting a luxury kitchen, bathroom and open plan features, with a mezzanine bedroom with a king-size bed. 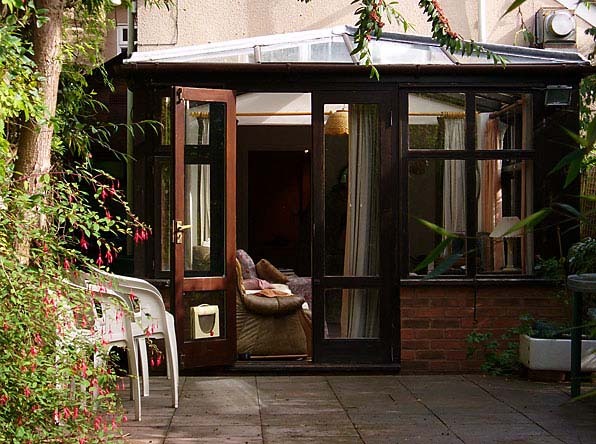 Lounge with wood-burner, quality linen, off-road parking, secluded courtyard garden, Wi-Fi. 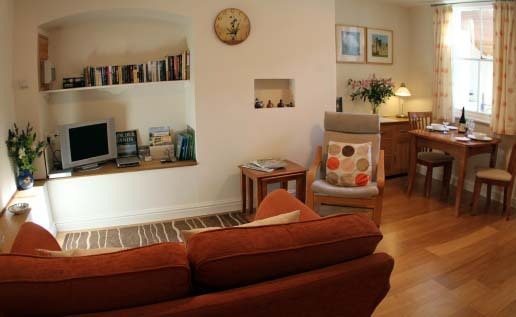 Cosy and convenient for all that Ludlow has to offer. Easy, secure online booking with flexible dates, from 2 nights. The Apartment at Palmers House is a newly refurbished stylish apartment located in central Ludlow - 2 mins walk from the river, bustling market square and the 11th century castle. A very spacious apartment in one of Ludlow’s most desirable locations. The Apartment accommodates up to 4 guests in 2 bedrooms (King Size Beds) both with their own en-suite. Complimentary continental breakfast products will be provided to get your holiday started, please advise if you have any special dietary requirements. We aim to greet all our guests in person on their arrival. Prices from £260 - £320 for 2 nights - discounts for longer stays. 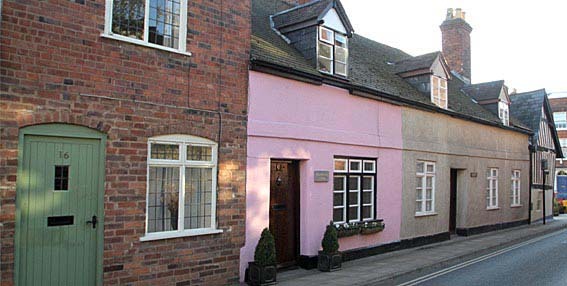 Practical, characterful self-catering accommodation - tranquillity in the heart of historic Ludlow. 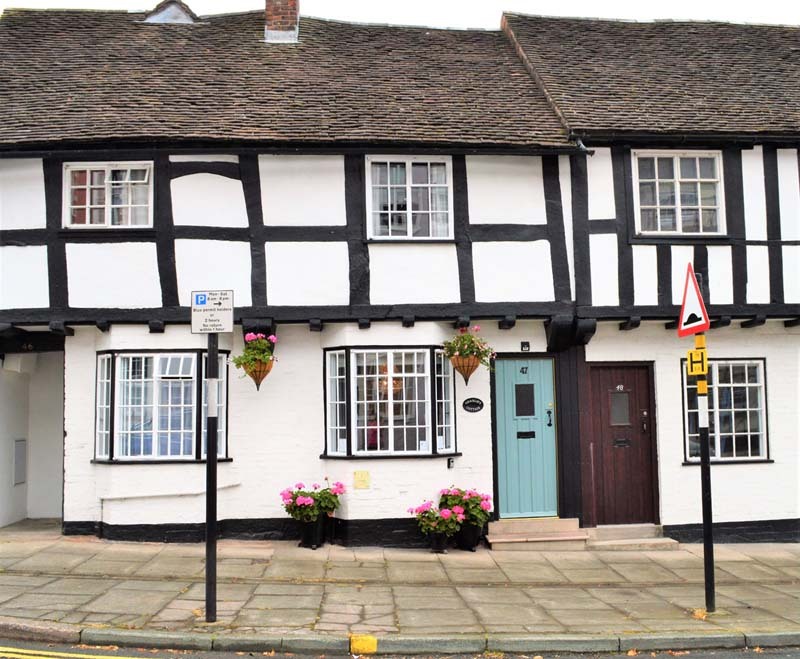 Posthorn Cottage is one of just two adjoining properties occupying a secluded position in historic Broad Street,in the heart of the town, which offers an ideal self-catering holiday base for exploring historic Ludlow and the surrounding area. It is conveniently placed for all Ludlow's attractions, with shops, restaurants, cafes and places of interest such as the Castle, Market Square and St Laurence's Church all only a few minutes walk from the door. 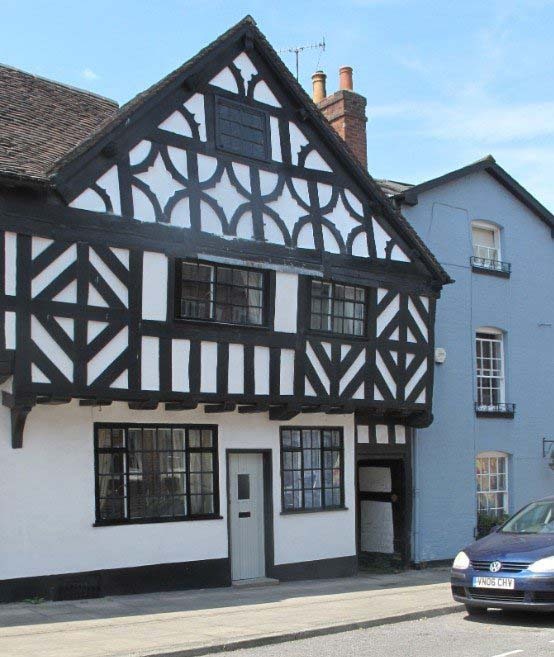 A three storey, 17th century, Grade II Listed, timber framed town cottage, close to the centre of Ludlow, about 25 yards from The Unicorn public house. The rail station is within a 10 minute walk. The exposed beams and wood burning stove create a cosy atmosphere for a romantic holiday. 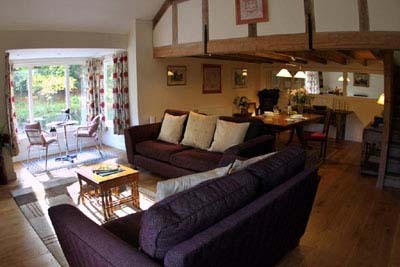 The cottage is ideal for two but can sleep up to four persons. Selected by Sawday’s "Special Places to Stay". 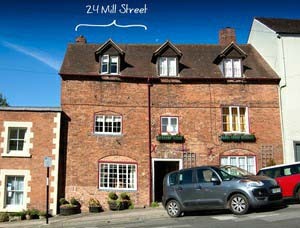 The Maltings offers a special retreat for 2 right in the heart of Ludlow. 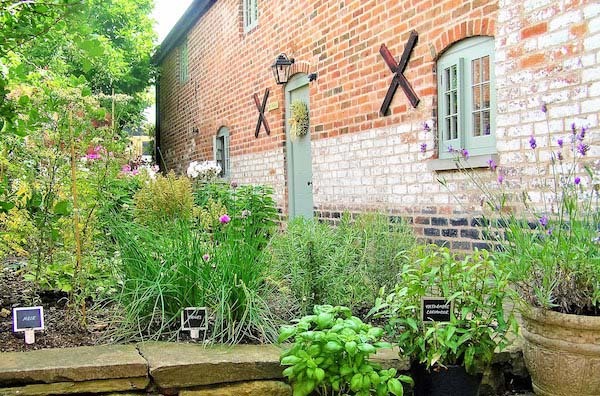 Tucked away in the walled garden of an award-winning Georgian townhouse, the cottage has wonderful historic character and period features, with all the comforts of a luxury stay. It is exceptionally spacious for 2, with a large living & dining area, a super-king bedroom, 2 full bathrooms, a very well-equipped kitchen and a beautiful garden for your enjoyment. Wi-fi, utilities and many other extras are provided. Free private parking and close to Ludlow train station. 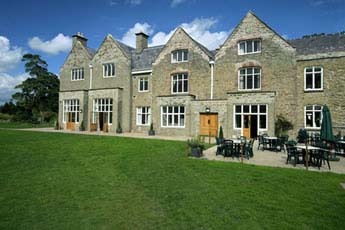 Rates from £125 per night (3-night minimum) and we are flexible about arrival & departure days. The Studio is a unique & spacious riverside retreat for two guests. South facing and directly overlooking the water (and resident kingfishers), previous guests have described it as "...probably the nicest place to stay in Ludlow...a little piece of paradise on the banks of the River Teme." There is private off-road parking and direct access for fishing. Short breaks are available throughout the year and we do not insist on Saturday arrivals. Personally supervised by the owners. No smoking or pets. 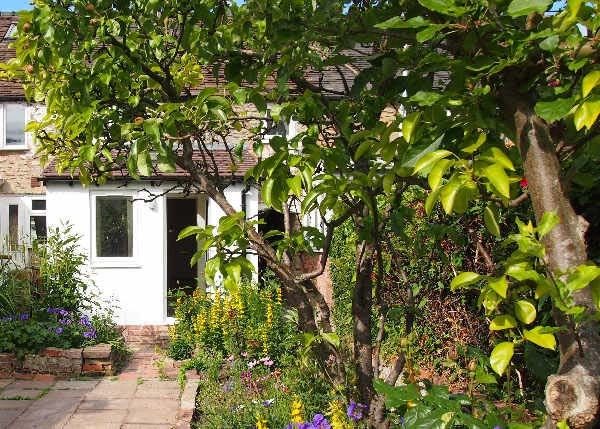 Toad Hall is a charming three bedroom, two bathroom cottage with a conservatory and private garden. It is located just outside the town walls, ideally situated within easy walking distance of the town centre and lovely country walks on Whitcliffe.